One Drop Design was started in 2001 by Shawn Nelson and David Metz as a contracting machine shop with the eventual goal of having their own product line. They knew that when you own a machine shop, you get ideas pitched to you all the time and you need to be ready to move when the right idea walks through the door. The right idea might not be obvious so they kept their eyes and minds open. In 2002 they briefly considered making yoyos after David saw some of the early metal bearing yo-yos at a kite shop on the Oregon coast. Having been into yo-yos as a child, metal yoyos was an exciting prospect, but ultimately the idea was rejected because at that time One Drop Design only owned a CNC Mill which is not the ideal machine for making a yo-yo. Fast forward to 2007 when a young college student approached One Drop to get some mentoring in product design and manufacturing and he was hoping to get one yo-yo made for himself. The idea was once again intriguing but the mill was still a problem. One Drop decided to go ahead and try anyway just to see what would happen. 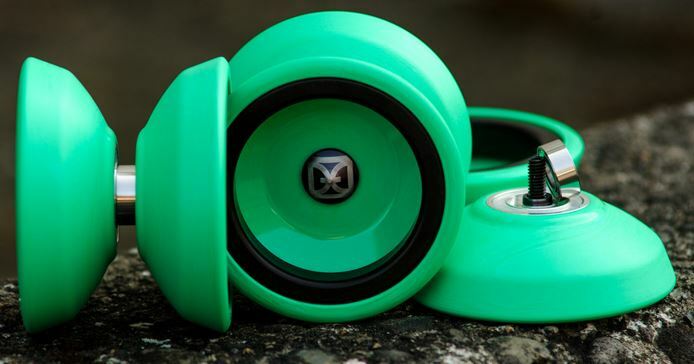 The resulting yo-yo was the prototype of what would eventually be released to the world as the Project. The student was happy with his one yo-yo and One Drop made a run of Projects and they were an instant hit after their initial release at yoyoguy.com. Limitations can often spur creativity and this was no exception. The limitations of making a yo-yo on a mill helped create certain design elements that made the Project stand out and also ultimately a classic. For example the flat rims were necessary to the machining process, but became a stand out feature. The most iconic part of the Project was the hub. Having a machining background, One Drop was skeptical that a steel axle in an aluminum hole was the best way to make a yo-yo. If there was to be stripping, the softer side would give which is the yo-yo half and not the axle. They decided to use a nut capture system. This kind of system had been used on plastic yo-yos previously but not on metal. And when it was used previously it was hidden in the design. One Drop decided to embrace the industrial look and feature the nut capture. 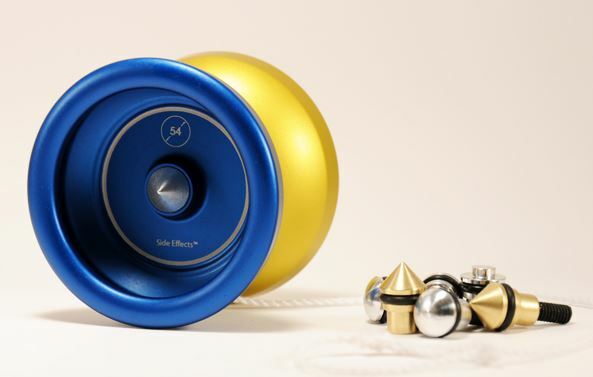 The result was an extremely unique and now iconic yo-yo which was released to the World in late 2007. They now went by the name "One Drop Yo-Yos". 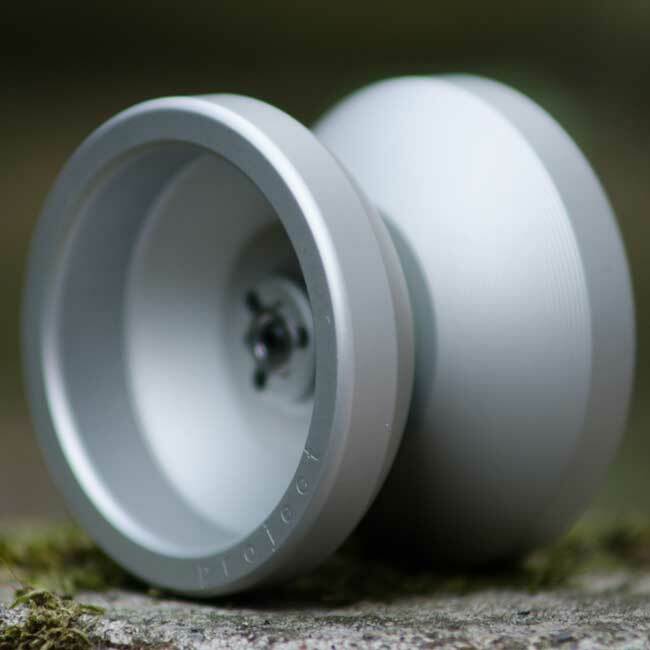 After the success of the Project, One Drop was surprised by the state of the yo-yo market: specifically that high-end yo-yos seemed to be in such short supply and on average very expensive. One Drop decided to try and make a metal yo-yo that was affordable and available in large numbers. The result was the M1: "Metal for Everyone" which retailed for $60 and forever changed the landscape spurring all the other high-end yo-yo companies to have a "budget" metal yo-yo in their line up. The first two yo-yos (Project and M1) set the tone for what One Drop Yo-Yos would continue to do throughout years: Create innovative yo-yos that provide the best value to the customer with a huge emphasis on quality, durability and availability and always made in the USA. One Drop continued to experiment with replaceable axle systems with the release of the Project 2, Y-Factor and Dingo eventually culminating in the 2009 release of the patent pending Side Effects Axle System. Side Effects are a user-replaceable axle system which allows for easy customizing of the weight, feel, look and functionality of the yo-yo. The first yo-yo to have Side Effects was the 54 and since then there have been many models to use the system which is universal: any Side Effect set fits into any Side Effect enabled yo-yo. This system has proven to be extremely easy to use, reliable and robust. Other companies have licensed this technology. One Drop released their first plastic yo-yo, the Rally in 2013 continuing with their strong belief in making products in the USA. The Rally is molded in the USA and then finished in-house at One Drop including machining all the metal hardware and the plastic body to create a matte surface for excellent grinds. One Drop has now expanded operations to make yo-yos for other top brands as well.